Foseco is a world leader in the supply of foundry consumables and solutions and a brand of the Vesuvius group. The foundry process is highly sequential and critically dependent on consistency of product quality and productivity optimization research and development, in order to develop solutions for our customers, is the fundamental base of our international R&D centre. Foseco and Vesuvius have a proud heritage of bringing innovation to the markets we serve for more than 100 years. 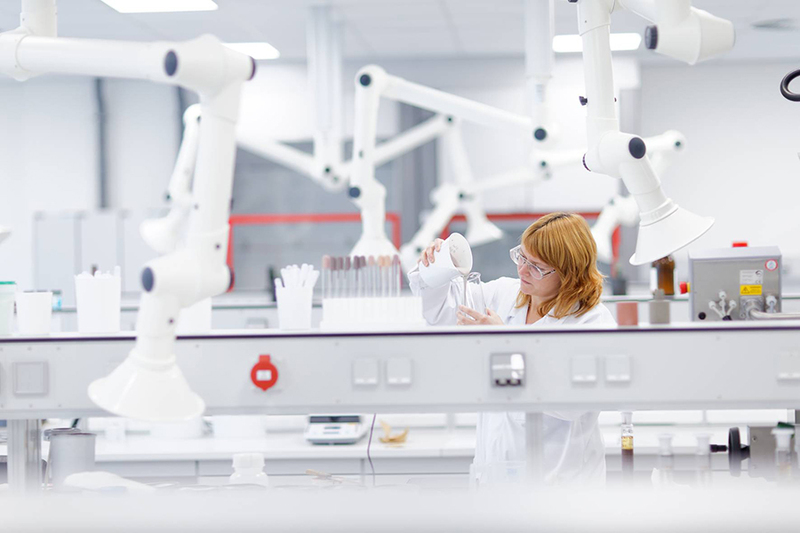 We have more than 200 technical experts supported by 4 global research centres and 5 regional development laboratories. Foseco alone employs about 150 personnel in research – mostly in the Netherlands (foundry products), France (glass and industrial applications), England (filtration), and in the USA (crucibles and refractory products). In 2014 Foseco opened a new research and development centre in Enschede. It is a modern building constructed on grounds totaling about 4,500 m², with offices, laboratories, a test foundry and state of the art apparatus. This new research and development facility allows the company to develop a more holistic understanding of customers’ production processes. • Production scale core shooting machines which are compatible with both cold and hot box processes, that can handle tools of up to 12 litres. The cores produced can be coated if necessary and tested in both the laboratory and test foundry. • Zeiss scanning electron microscope with an energy dispersive X-ray spectroscopy sensor (EDX). The test foundry includes four furnaces for melting iron, steel and aluminium alloys. Modern laboratories occupy 700 m2 in the new Enschede R&D centre. 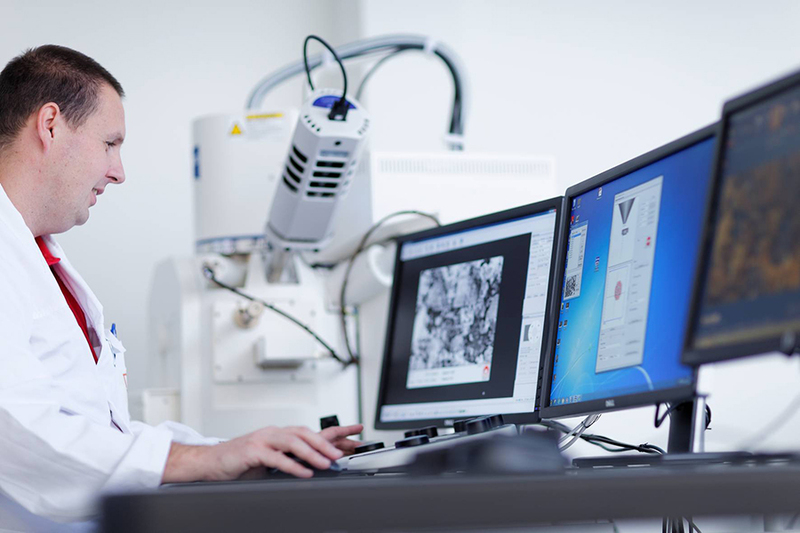 a Zeiss SEM (scanning electron microscope with its energy dispersive X-ray spectroscopy sensor (EDX) is used to determines the elemental composition of metallic samples efficiently and rapidly. Foseco announce the launch of SMARTT-Degassing; an innovative process control for rotary degassing of aluminum alloys. This innovative rotary degassing process controlled by SMARTT, is a software which is based on the recently developed Foseco Degassing Model that accurately simulates rotary degassing. The operator simply defines a melt quality level and SMARTT predicts the best treatment practice based on ambient conditions, melt temperature, rotor design and alloy composition. The treatment parameters are automatically transferred into the FDU MTS degassing unit. In conjunction with innovative rotor designs SMARTT achieves a constant quality level and reliable results. The SMARTT software determines rotor speed, inert gas flow rate and treatment time and transfers this data to the degassing unit before treatment begins. 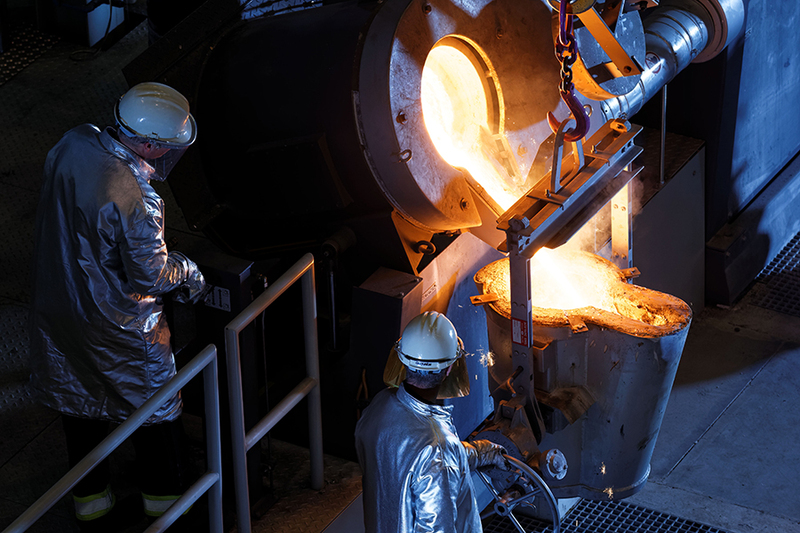 Four different treatment schemes offer opportunities for the foundry manager to optimize his process in various ways – a significant advance in metallurgical control. Car manufacturers are looking to downsize their engines whilst retaining power output. One area of focus is the deployment of aluminium blocks incorporating grey iron cylinder liners. 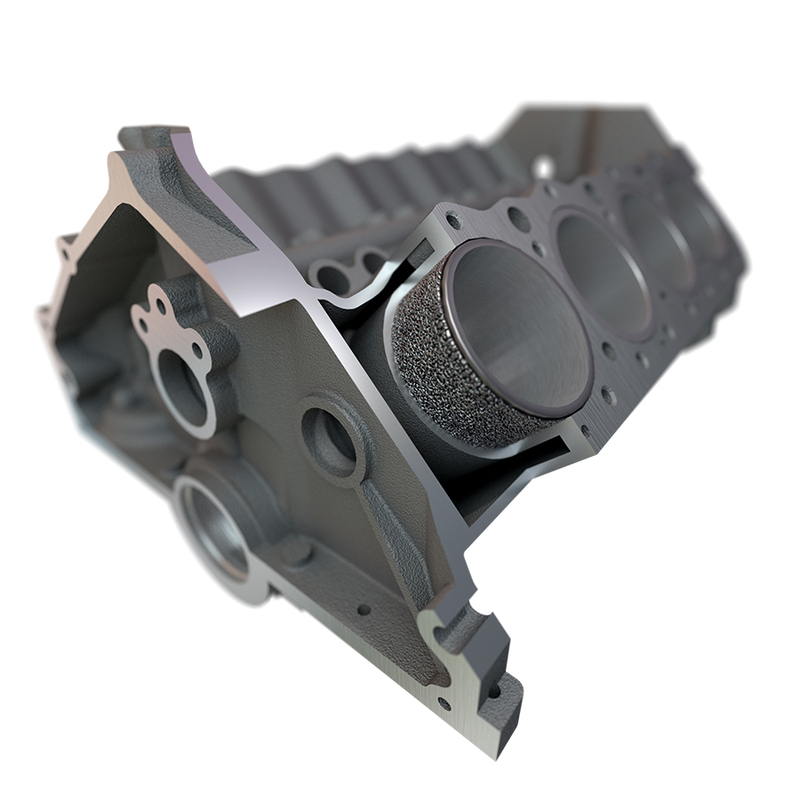 Foseco is developing a technology package for the process of manufacturing grey cast iron cylinder liners which enable the liner to be cast in situ into the aluminium block using both gravity die and pressure die casting processes. The “roughness” of the surface can be tailored to meet the individual need of the customer’s process. Aluminum block incorporating a “rough” grey iron cylinder liner manufactured using Foseco’s SPUNCOTE process.